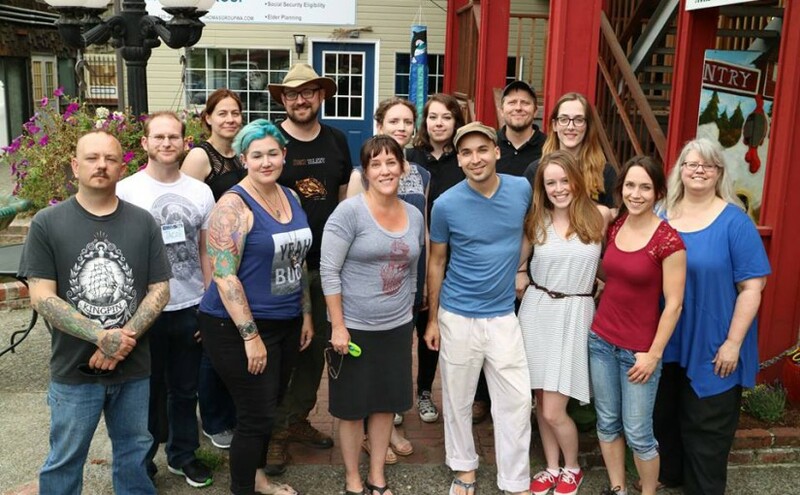 TLC Workshops offer unique learning and networking experience for working illustrators. Nestled among the evergreens of Bothell, Wash., the Country Village welcomes visitors with barn red signs, faded wooden siding, and a rusted weathercock. The plaza, located about 25 miles northeast of Seattle, is comprised of several cottages and home to a number of eclectic tenants. There’s an antique shop and a farmer’s market, craft stores and a dance studio, a spa and a coffee house. And in one of the rearmost buildings is the Arts Umbrella, home to TLC Workshops. 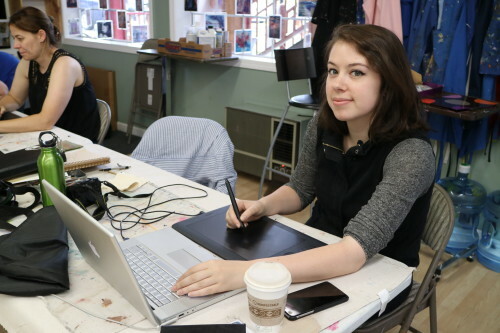 Since 2011, TLC has made use of the community arts center and studio to offer boutique learning experiences to students. 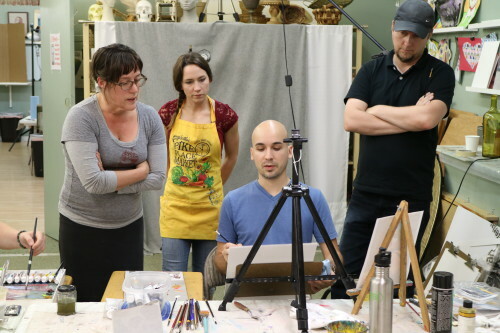 Concerned over a lack of ongoing education and training for working professional artists, founder Tara Larsen Chang wanted to create a small classroom setting where participants could receive plenty of one-on-one instruction from acclaimed instructors. 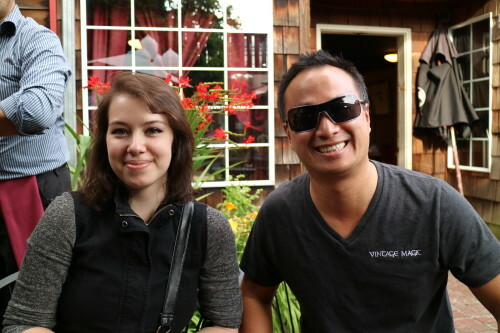 This past spring, VintageMagic.com awarded its latest scholarship to Danica Francian to attend TLC’s July 15-17 session. Established in October 2015 at IX8, the Vintage Magic scholarship program provides grants for artists to pursue educational opportunities around the country. 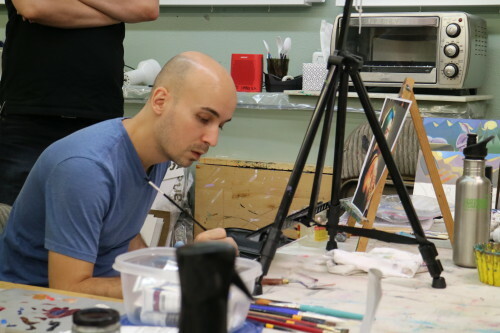 The workshop that Danica attended was taught by famed book illustrator and Magic: The Gathering artist Dan dos Santos, and focused on light and color theory in illustration. Though it is only five years old, TLC Workshops has attracted a list of instructors that reads like a who’s who of the imaginative realism field. Greg Manchess, Terese Nielson, Karla Ortiz, and Brom, among many others, have all given their time to help foster fellow artists who are trying to make a living through their art. 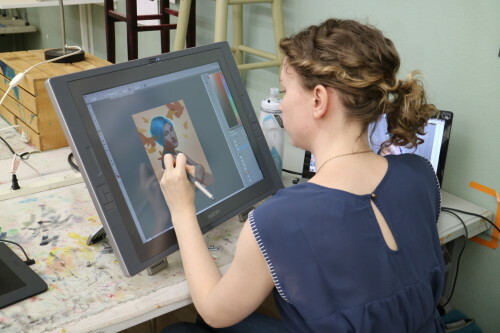 The impetus to create TLC Workshops goes back to 2008 when Tara, a working artist in her own right, attended Rebecca Guay’s Illustration Master Class on the East Coast. 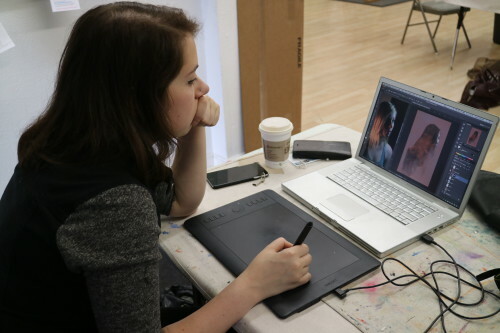 Wanting to create a similar experience that occurred more than once per year and was closer to home, Tara launched TLC Workshops with inaugural classes that included character work, visual storytelling, and more. Fast forward to 2016 and the workshop subjects have become even more varied, including subjects like mythological character portraiture. 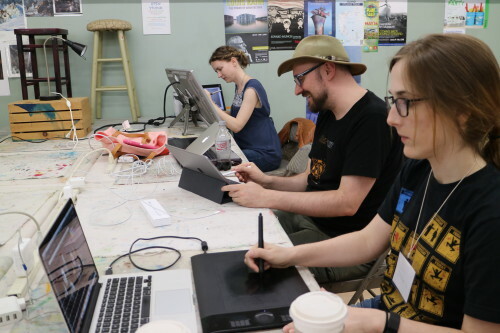 Open to both traditional and digital artists when possible, the sessions are generally capped at just over a dozen students, ensuring that participants not only have the chance to network with world-class professors, but also get lots of individual attention. 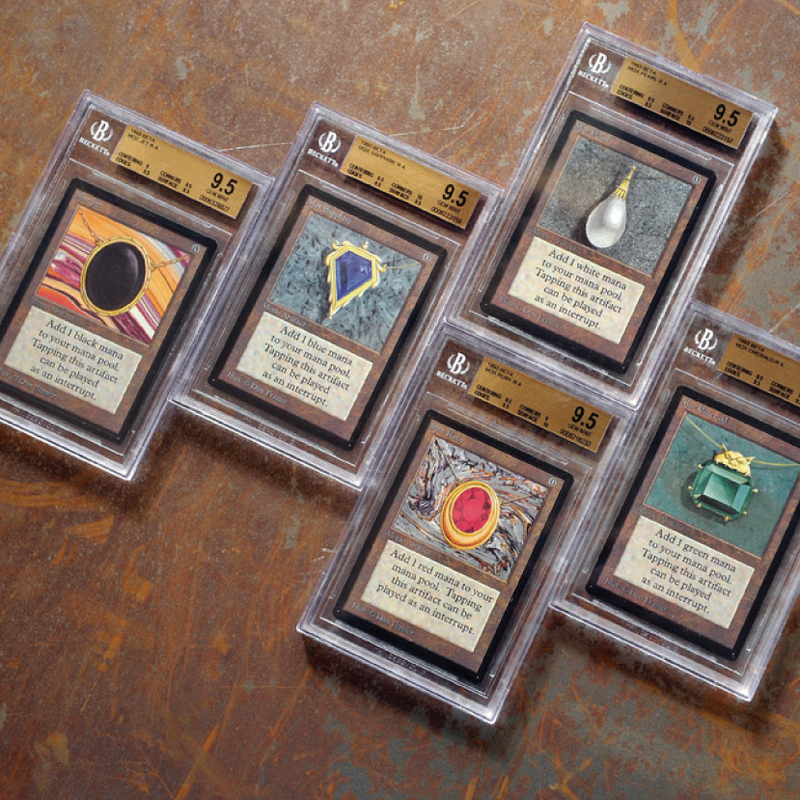 That was part of why Danica applied for the Vintage Magic scholarship. The weekend of the workshop, Danica said, began with an overview of the class and introductions, which included going through everyone’s current art. Every day began with lectures that led into demos and exercises, starting with basic lighting schemes and temperatures on a bust, and then going into creating thumbnails based on light behavior over simple shapes. The last afternoon was spent photographing a model to create a portrait with an original lighting scheme, based off the information in the photo. “The way Dan condensed these huge topics of light and color and presented them, both in lectures and in his individual comments during the working period of the day, really broadened my own understanding of these concepts as tools to be used and manipulated, rather than stringent rules,” Danica adds. This sentiment isn’t uncommon. Part of the learning success experienced by students like Danica is owed to the passion of instructor Dan dos Santos, who has produced cover art for New York Times bestselling authors Jim Butcher (The Dresden Files) and Patricia Briggs (The Mercy Thompson Series), not to mention his work for games like Magic: The Gathering. 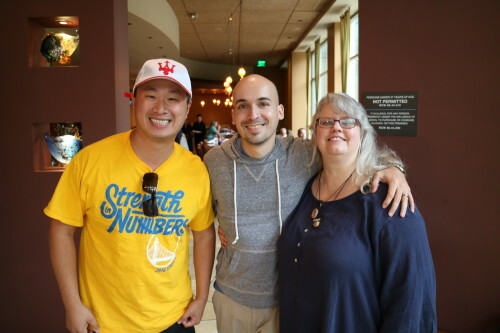 In addition to his impressive portfolio of work, which includes clients like Disney, Universal Studios, and DC Comics, Dan has a proven track record of helping to foster up-and-coming artists. Going forward, TLC Workshops has one more session planned for 2016: “Combining Animal Anatomy and Story” with Terryl Whitlatch in September. Though the class is already full, prospective students can be added to the waiting list in case there’s a last-minute cancelation. Tara is also considering which direction to take TLC Workshops in the future. For attendee Danica Francian, the class was an important step toward implementing “the type of imaginative realism and narrative I hope to achieve through my art.” She recommends that any artist jump at the opportunity to learn from Dan dos Santos, whether at a future TLC session or elsewhere. Thanks Tara! Glad you enjoyed it!